<id=”removals”>We are a professional moving company that provides friendly, reliable and high quality man and van services. We have worked in this industry for a very long time and you can fully trust us when we say that we can quickly and easily take care of any moving job. Local customers in Yeading know us as the moving company with the best and most affordable services. While this recognition makes us very proud it also motivates us to work even harder than before because earning a reputation is easy, it is maintain it intact – that it is hard, and we don’t want to tarnish it. The main reason behind our popularity is that we are perfectionists that always aim for excellence and often go beyond the expectations of our clients. This is why residents and residents in Yeading trust no one better to handle their removal projects than our team. One major aspect of our services is openness. Your removal in Yeading will be held with full transparency – not only will we inform you about every step of the way but we’ll also include no hidden fees of expenses in the final pricing. And although we have full faith in the skills of our movers we still include full insurance coverage in your service package. When it comes to versatile and inexpensive removal services at excellent prices Get Removals have what you need. We deal professionally with a wide range of domestic and commercial property relocations, as well as a variety of additional/specialised removals. We have the expertise and technical capacity to cover all stages and aspects of the removal process, this also includes proper packing and securing of valuables prior to transit. All work done by qualified movers aided by professional removal drivers. If you are still not sure we’re the movers to hire, please explore our website to gain additional insight of our company. Also you can contact us directly over the phone or send us an email. We will gladly provide you more information about us and our removal services that will certainly convince you that we are the right moving company to hire for your upcoming relocation. As you have already understood we are based in the area of Yeading. 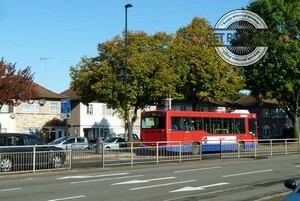 The area lies in the western parts of the city and is part of the London Borough of Hillingdon. Yeading shares common borders with the area of Hayes, Ealing, Southall, Greenford, Hanwell and Northolt. The area is the location of three of London’s most reputed schools, the Barnhill Community High School, the Yeading Infant and Nursery School and the Yeading Junior School. The Yeading Library is arguably the most renowned landmark of the area. Other places of interest within Yeading are St. Raphael Catholic Church, St. Edmund of Canterbury and the church of St. Nicholas. Yeading is a suburb in the west of London. As per the etymology of its name, Yeading is believed to have formed in the Saxon period. Earliest record of the name / area dates back to the sixth century AD. Having said this, local history is somewhat unclear and many facts about Yeading’s development remain unknown. During the industrial era, Yeading was heavily engaged in brickmaking, which was also made possible by the area having access to Grand Union Canal.